Do you know that feeling when you've gotten someone the best gift EVER and you can't wait to give it to them? All the gifts on this list are available online, at all different price points, so hopefully there's something here for everyone on your list. This wonderful idea was given to me by my friend, Josh. He wrote a letter to his grandmother about why he was grateful for her, then tucked the letter inside the book for her to find while she was reading. I love that (and so did Josh's grandma). Write someone a letter of gratitude, then tuck it inside a book about gratitude. Give someone a Gratitude Jar, and fill it with little notes of gratitude or special memories to the person receiving it. Or, you could fill it with other inspirational things like quotes, bible verses, song lyrics, or anything else uplifting. $0-$20: Use a simple mason jar or other pretty container from your local home decor store. Give someone a gratitude journal so they can start their own gratitude practice. 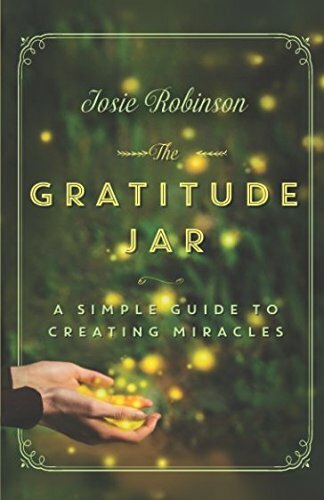 This is the most popular way to practice gratitude, and there are many beautiful gratitude journals for sale online that also make lovely gifts. Whatever gratitude gift you decide to give, it will be cherished for many years to come.